Roxburghshire is now part of the Scottish borders. Some people still use the name the burgh of Roxburgh or Roxburghshire though when looking for a self catering cottage stay in this specific part of the Scottish borders. The main town in Roxburghshire is Jedburgh. If you would like to view a wider selection of cottages in Roxburghshire and beyond, why not take a look at our page of cottages in the Scottish borders. Roxburghshire is an attractive part of Scotland to visit with ample greenery and interesting architecture such as the ruins of Jedburgh castle. The river Tweed runs through Roxburghshire and is reputed to offer excellent fishing opportunities. Other attractions in the area include the beautiful Cheviot Hills which are officially located in Northumberland but flow in to Roxburghshire and are wonderful for countryside walks. For history lovers, there is Hermitage castle and the magnificent Floors castle. Whatever you enjoy doing on a cottage holiday, there should be lots to interest you in Roxburghshire. 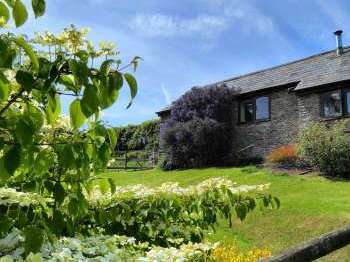 Whatever the specific kind of cottage in Roxburghshire you are looking for, we trust that you will enjoy looking through the accommodation on Country Cottages Online. You can freely use our Search Assistant to find all kinds of self catering accommodation from castles to country houses. Apologies we have no country cottages or holiday lets in Roxburghshire currently. We recommend that you take a look at cottages to rent in Scotland. Alternatively our Search Assistant can help you find a suitable holiday cottage in Scotland. You may also want to take a look at available Scotland?